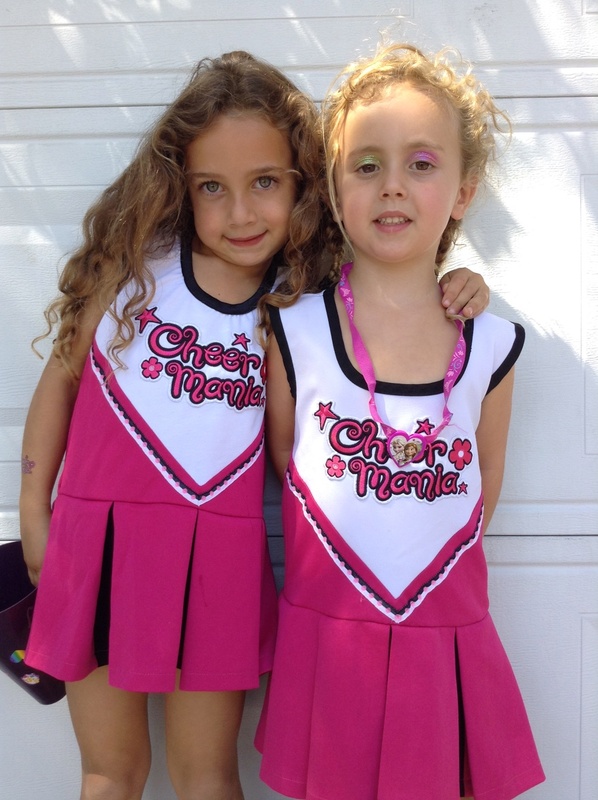 We are professional cheerleaders who bring the “PEP” (Pom Poms, Enthusiasm, Pizazz) to your child’s party! 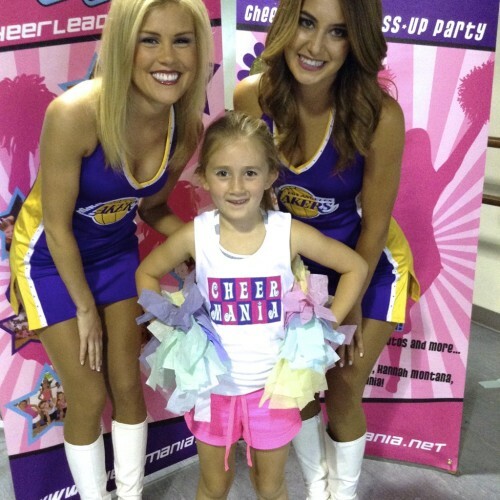 Each Cheer Mania instructor has an extensive background in cheerleading and dance and loves working with kids. 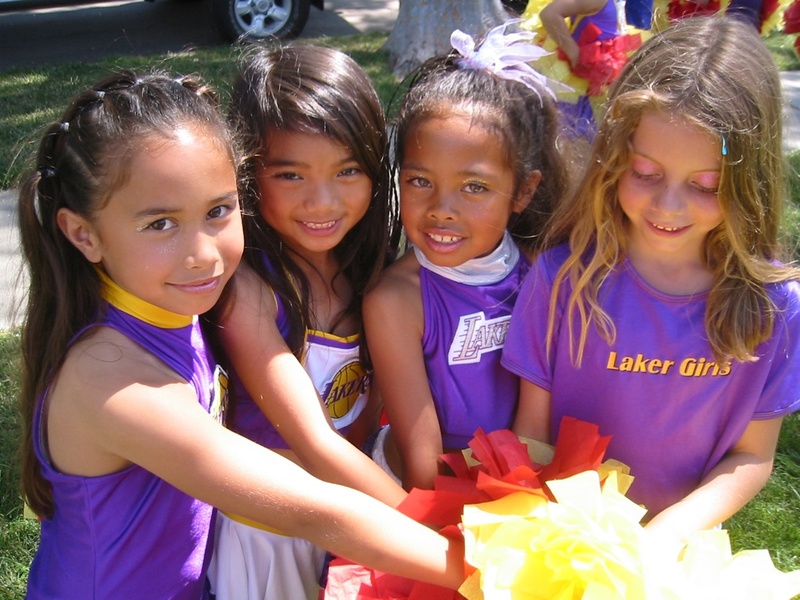 Our goal is to encourage athleticism and team work through cheerleading, while building self-esteem and confidence that will carry on through their future endeavors. We also want them to have a ton of FUN! 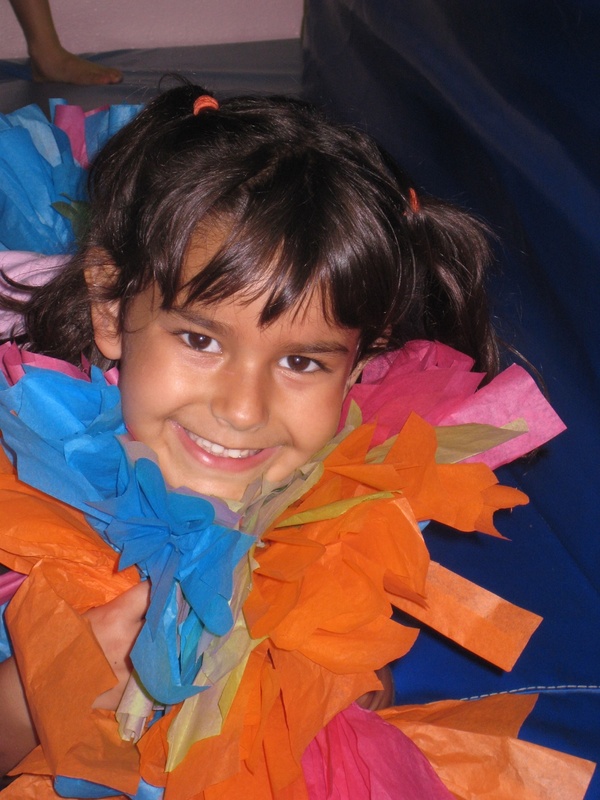 $375 for a party of 10 children or less and $25 per additional child. 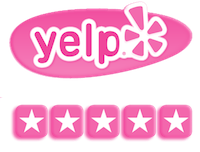 The party lasts 2 hours and is hosted by professional instructors. 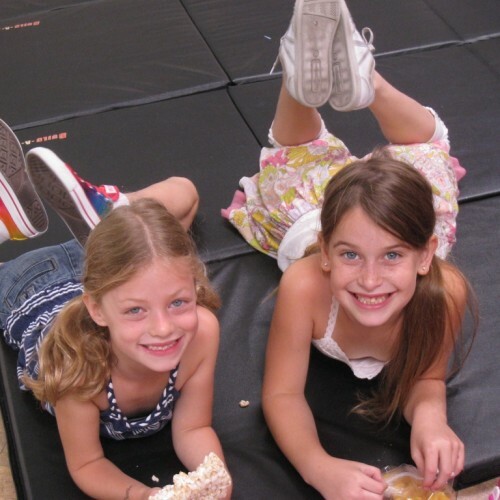 Party girls dress up in themed costumes, apply glitter eye makeup, decorate an art project, play games, learn cheers and dances, perform, pose for a photo shoot and have a blast!! All party favors are included. 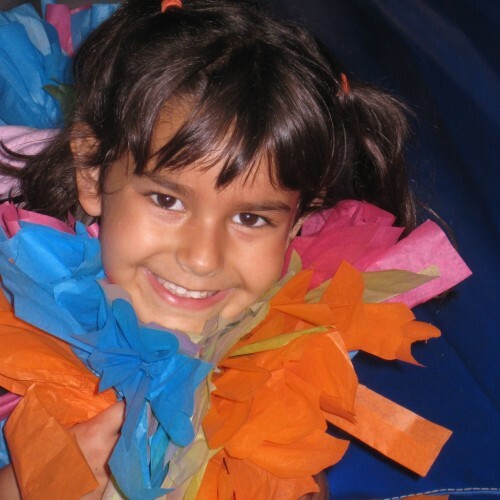 Each child takes home pom poms, a megaphone they have decorated and a Cheer Mania backpack. 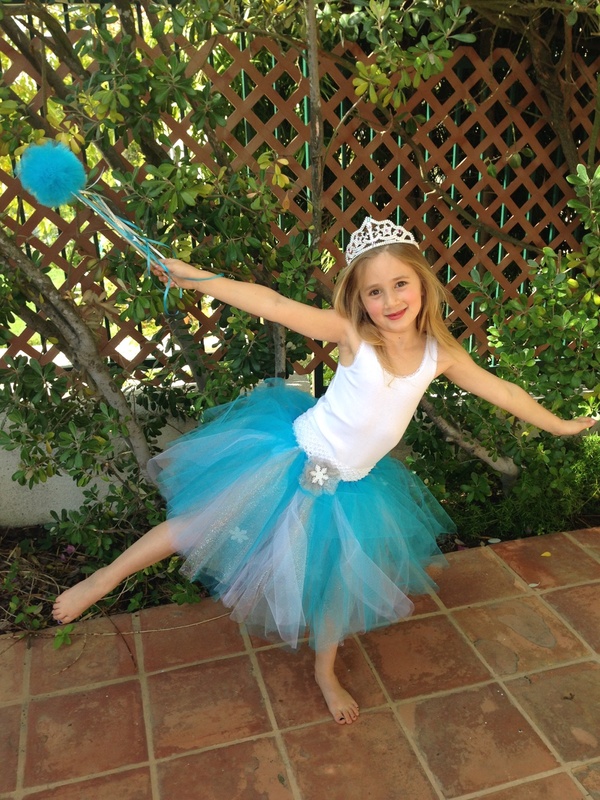 For Frozen theme, the pom-poms and megaphone are replaced by tiaras and snowflake wands. For Shimmer & Shine theme, they are replaced with genie lamps, face gems and sparkly, beaded bracelets. 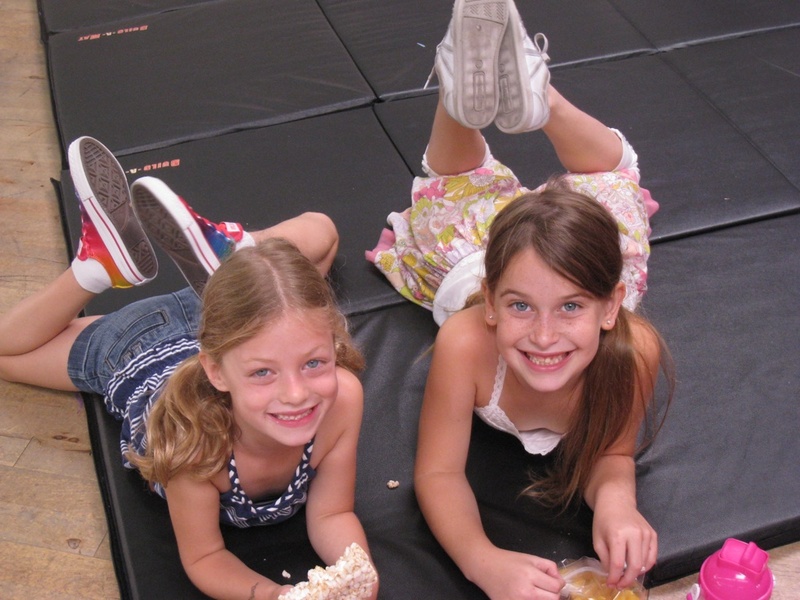 Cheer Mania began in 2004 and has been providing excitement and energy to many little girls’ birthday parties ever since. 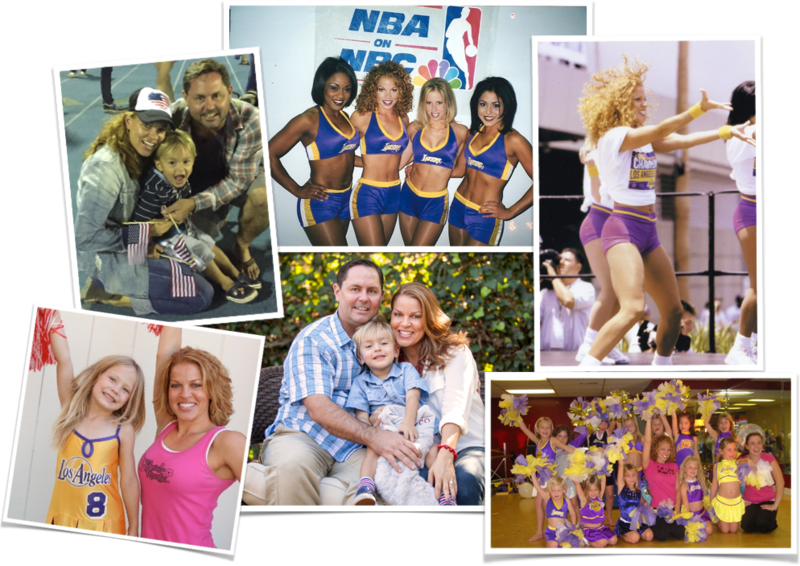 The founder, Michelle Boehle, a former Los Angeles Laker Girl and UCLA cheerleader, was coaching and choreographing for cheerleading teams nationwide. 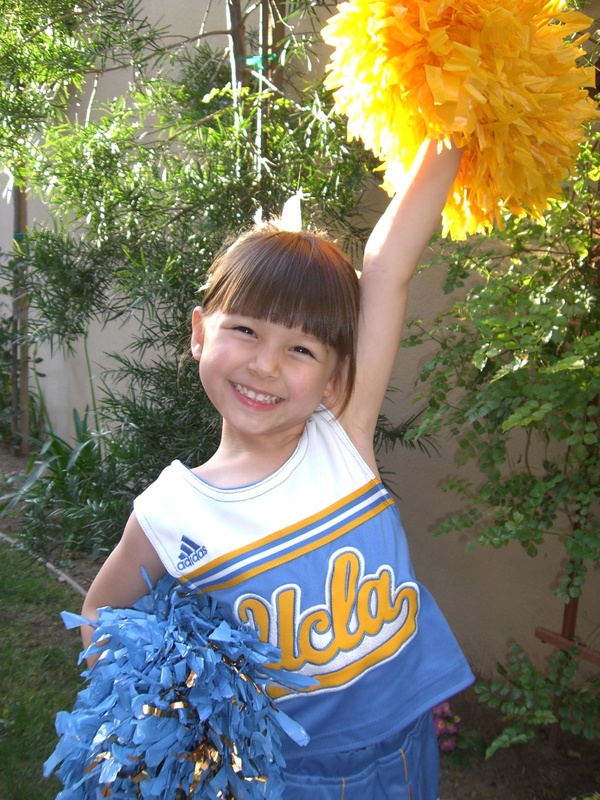 It was a natural and enjoyable transition to take her cheerleading knowledge and integrate it with dress up and birthday parties. 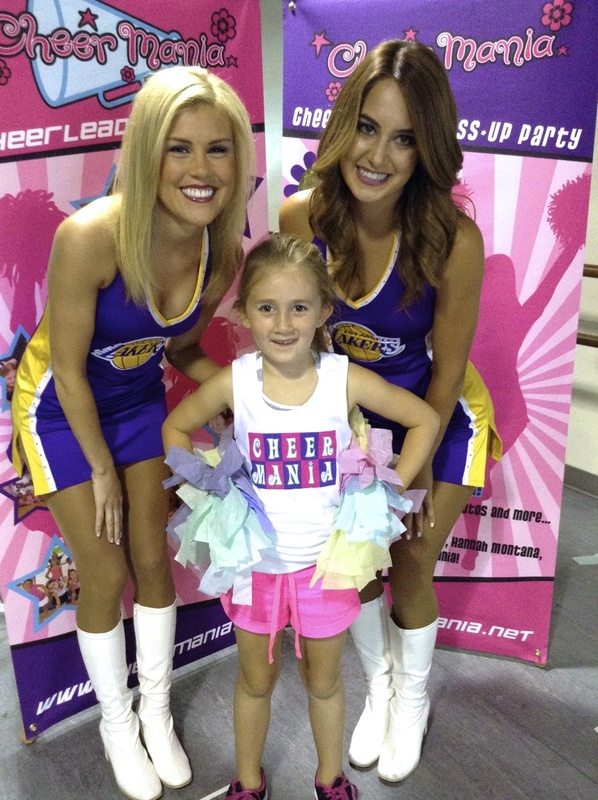 It has now grown to be a wonderful and fulfilling way to share her love and expertise of cheerleading. 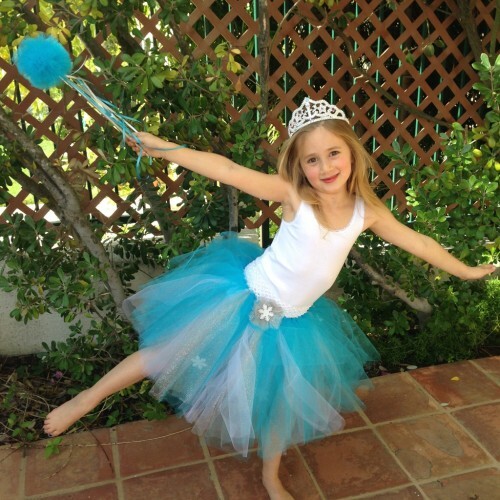 Michelle Boehle was born and raised in Orange County, and now resides in Pacific Palisades with her husband and two sons, Rocco -6 and Dante -14 months. 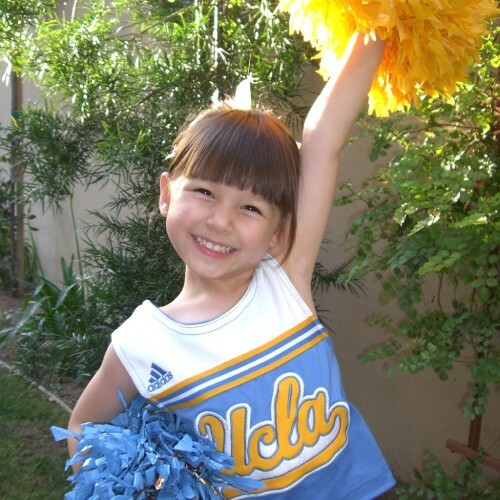 She has an extensive background in cheer and dance including Mater Dei High School Pep Squad, UCLA Spirit Squad, and the renowned Los Angeles Laker Girls. Michelle graduated from UCLA with degrees in dance and psychology. 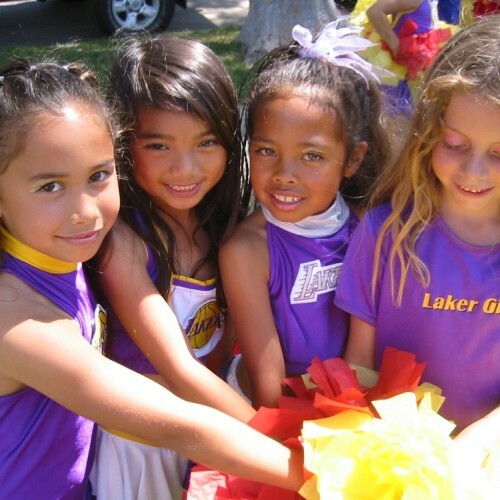 While performing as a Laker Girl, Michelle began pursuing a dance and acting career and has been successfully working in the entertainment industry ever since. When she is not assisting budding cheerleaders with stunts and cartwheels, she continues to choreograph for films and commercials. 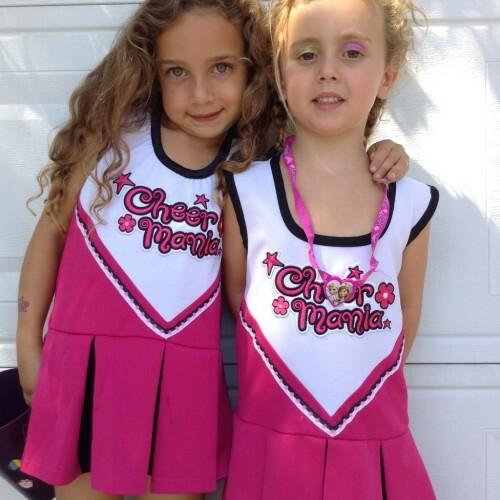 Cheer Mania is her very own creation and she is happy to be sharing it with bright, vivacious little girls everywhere.